The EMG 81/85 Humbucker Set is one of the most popular rock and metal combinations ever made and they are packaged together as the signature set of long time user and endorser Zakk Wylde. The EMG 81 uses powerful ceramic magnets and close aperture coils, the tone was designed with detailed intensity, incredible amounts of high end cut and fluid sustain. Traditionally used in the bridge position of your guitar, the 81 makes your leads slice right through even the densest mix. 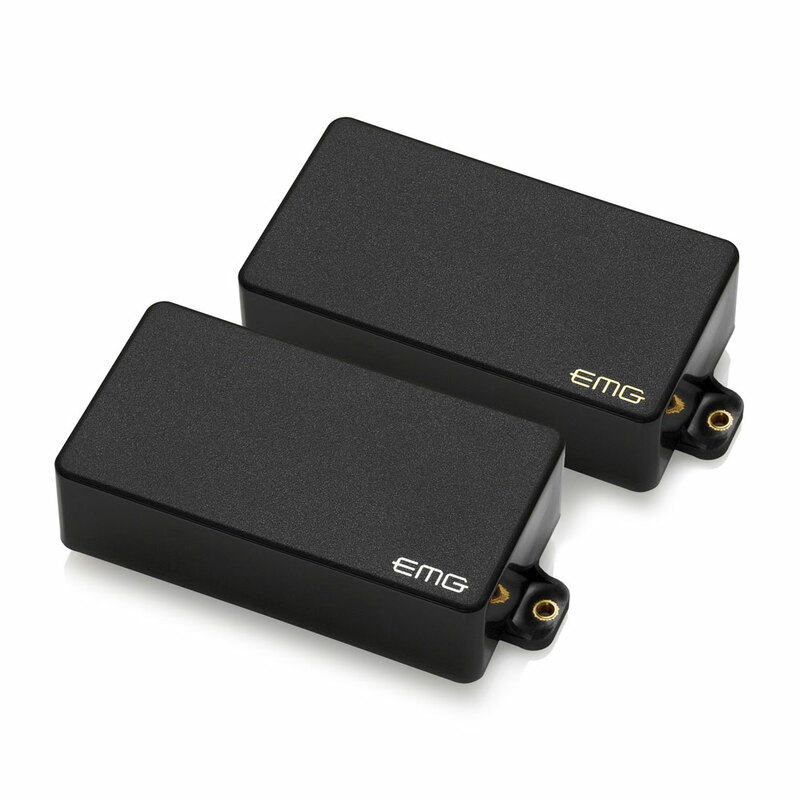 The EMG 85 humbucker is the slightly more sophisticated and well-rounded half of the 81 model. Traditionally used in the neck position, it is a powerful guitar pickup with exceptional tone and versatility. It uses Alnico V magnets and close aperture coils to provide a muscular growl and smooth lead tones enabling you to play everything from the blues to the most extreme metal. The ZW set features their solderless system for quick and easy installation, it comes with everything you need including two long shaft 25k volume pots and two long shaft 25k tone pots (to allow installation in thicker carved tops like the Gibson Les Paul), stereo output jack, battery connector and all required connector wires.